Glad you could join us! Inspired by Family Magazine and Mom on Timeout are co-hosting this fun Summer Reading Adventure! Wow! 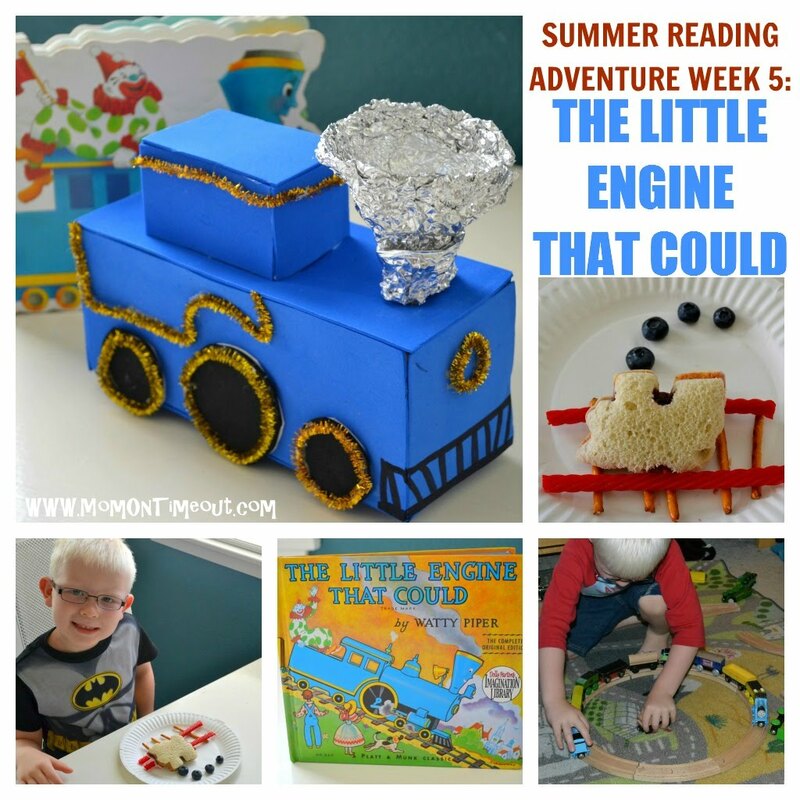 I can’t believe we are already in Week 5 of the Summer Reading Adventure! I hope you all are getting some great ideas for activities and hopefully learning about some new books that you don’t have yet. Make sure to visit the linky below for some wonderful book-related ideas and inspiration! 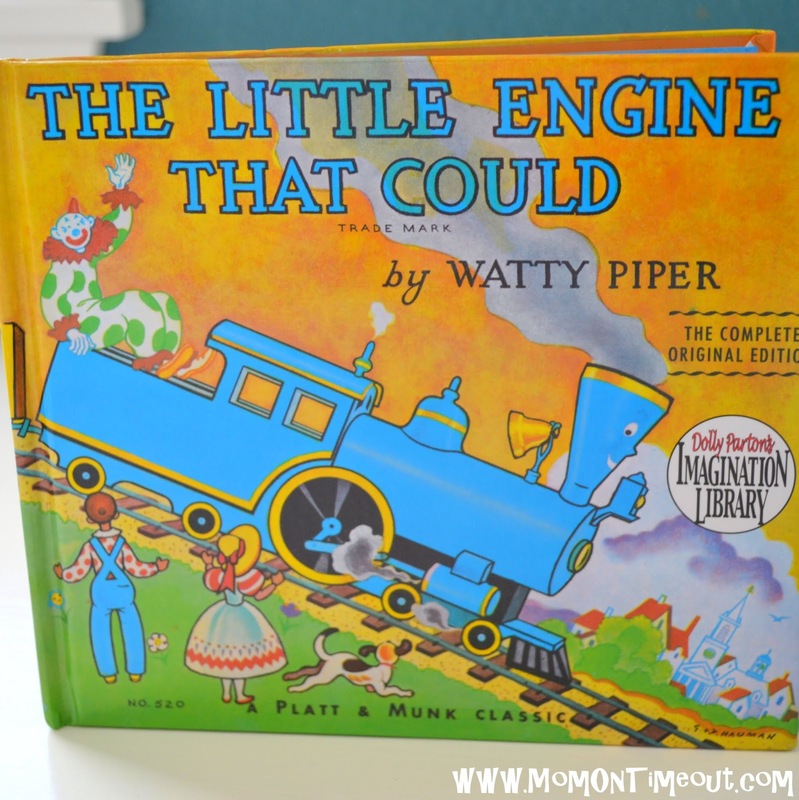 This week I am sharing a classic The Little Engine That Could by Watty Piper. Having two boys that are heavily into trains, The Little Engine That Could is naturally a frequent read in our home. I love the story and message it sends to children to believe in yourself and just TRY! The Little Blue Engine had faith in herself and made it up over that big mountain because of her confidence and the effort she put out. While our children may not succeed in every endeavor they attempt in their life, I do hope that they will not be afraid to try. I consider trying something new a success in and of itself and I encourage my boys to not be afraid to try new things. Such a great classic book and a wonderful story that both my boys enjoy! 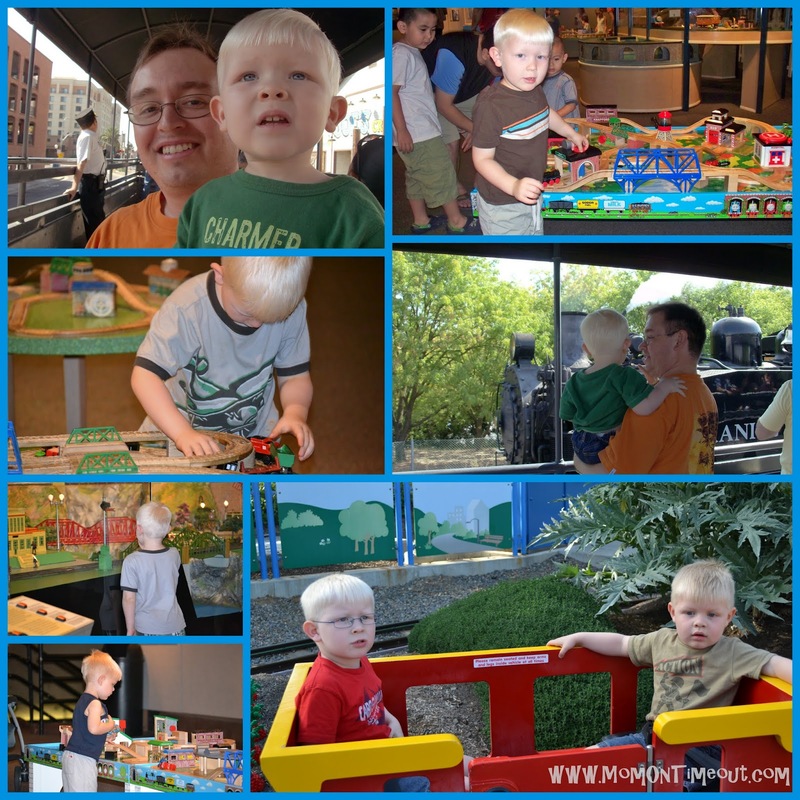 A day filled with train activities and crafts is not uncommon in our house 🙂 The boys love anything train-related so it’s fun to get them involved and excited. 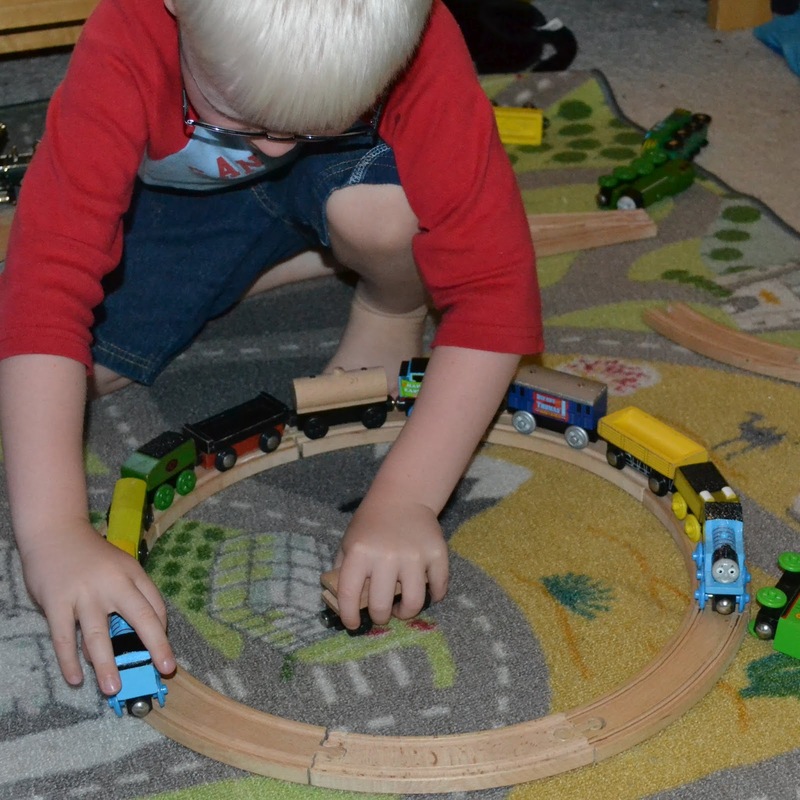 After letting the boys play with trains for awhile…. …we had a train-tastic lunch. 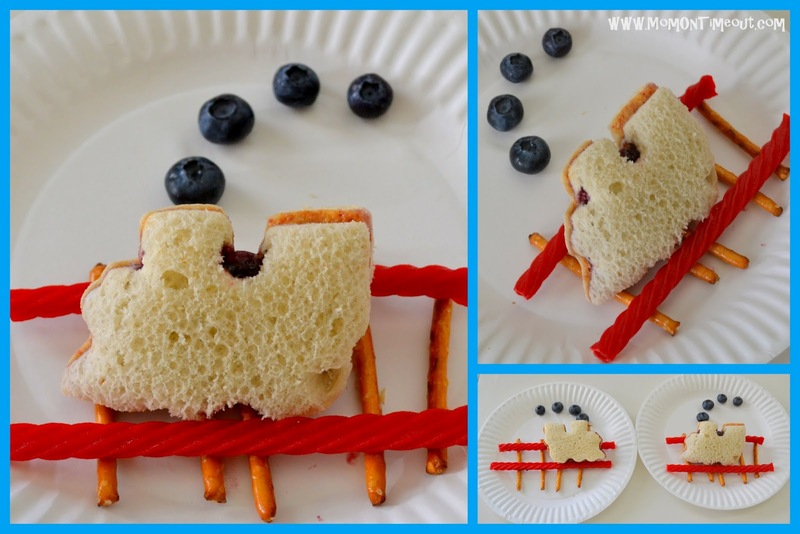 I used a train cookie cutter to cut their sandwiches, pretzels and red vines to make the train tracks and ties, and blueberries for the puffs of smoke. I made their lunches while they were busy playing and they were so excited to see their “Train Lunch”. 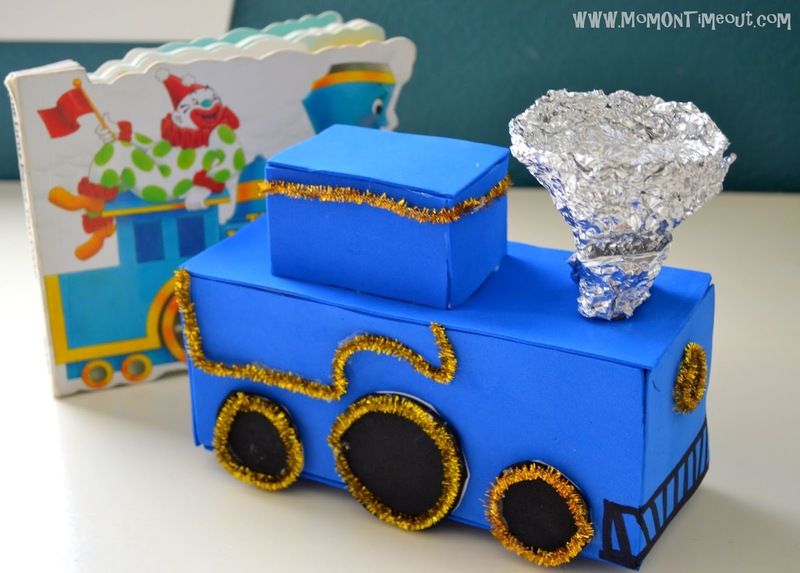 We finished our day with a fun craft project where we attempted to recreate the Little Blue Engine. I realize this looks like a lot of steps but it really came together very quickly. I used a Lipton Iced Tea box but any rectangle will do. We covered it in blue foam that we cut out after tracing the sides onto the foam. Let the kids cut and trace if they are old enough. Next was the wheels. 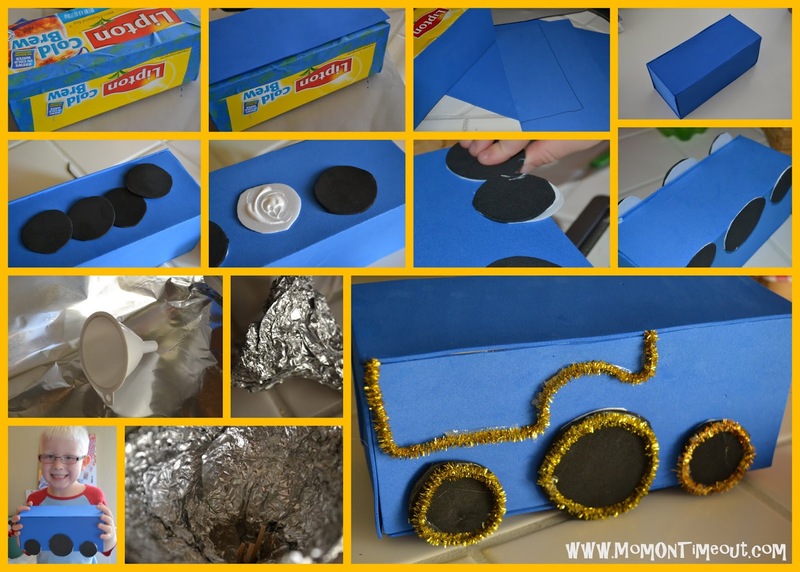 We used black foam and styrofoam plates for the wheels. Use any circular object to help make the wheels more uniform. Our aren’t exactly perfect but that’s okay 🙂 We glued the black foam onto the styrofoam for structural support and then glued the wheels onto the blue box. I think our Little Blue Engine turned out so cute! Reece and Bryce love her! Now it’s your turn, LINK AWAY! Stop by and link up! The post can be old or new – any and all book related posts are welcome! You don’t have to but we would love to have you follow along here or Facebook! At the end of our 6 weeks ALL of you who have linked up will be eligible to win a copy of Tickle Monster by Josie Bissett! Add our button below to your post so others can join in on the fun! Click on frog to link up! Ok Mari, you have my heart! We LOVE this book and my boys love trains! I can’t wait to make this sandwich as a surprise for them! 🙂 Thank you! Also, I read your little Cafe con Leche comment…LOVE! 🙂 My husband grew up in Venezuela and we make Cafe con Leche all the time in the winter! Yes, Trish did a great job on this. I also loved here sandwiches. Venezuela that explains some of your latin american recipes I have seen on your blog that are not your typical taco, enchilada recipes. I love the blueberries for the smoke coming out of the train sandwich’s funnel! My little, blueberry-loving engineer would looooove that. 🙂 The box engine turned out really cool, too. The gold pipe cleaners and foil funnel really make it.